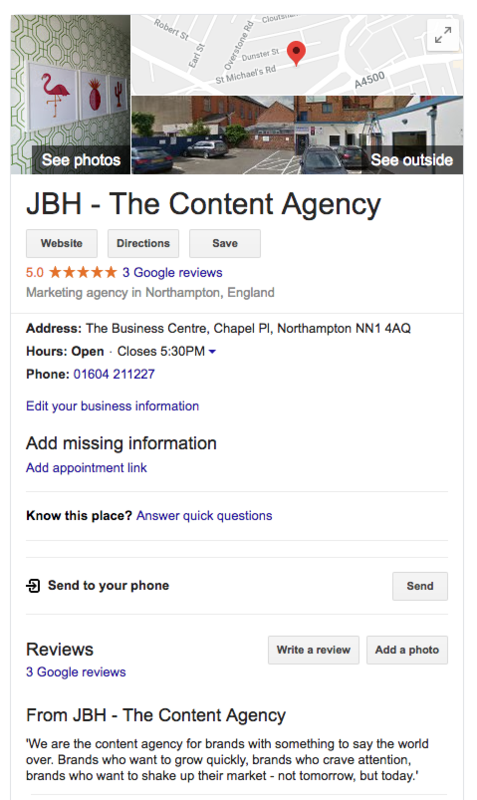 Here at JBH, we love to attend digital PR conferences and SEO events. 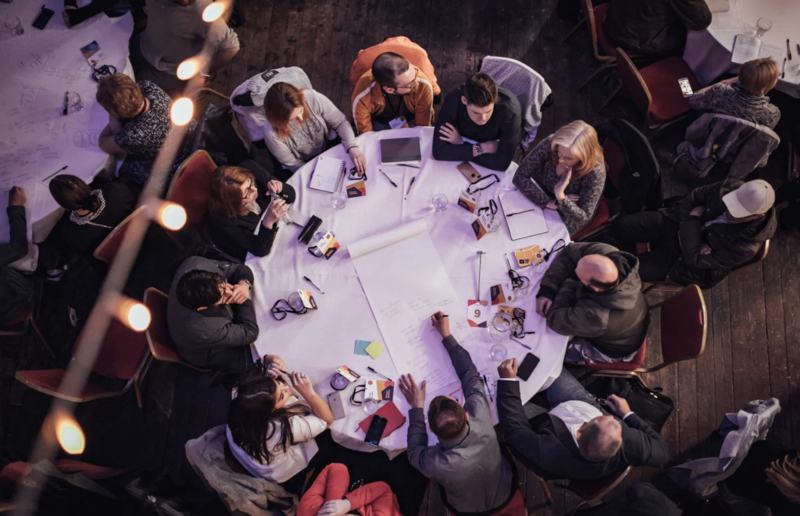 They provide a great opportunity to meet and network with fellow industry experts and learn more about new and exciting developments that can inspire ideas for future campaigns and projects that we work on. 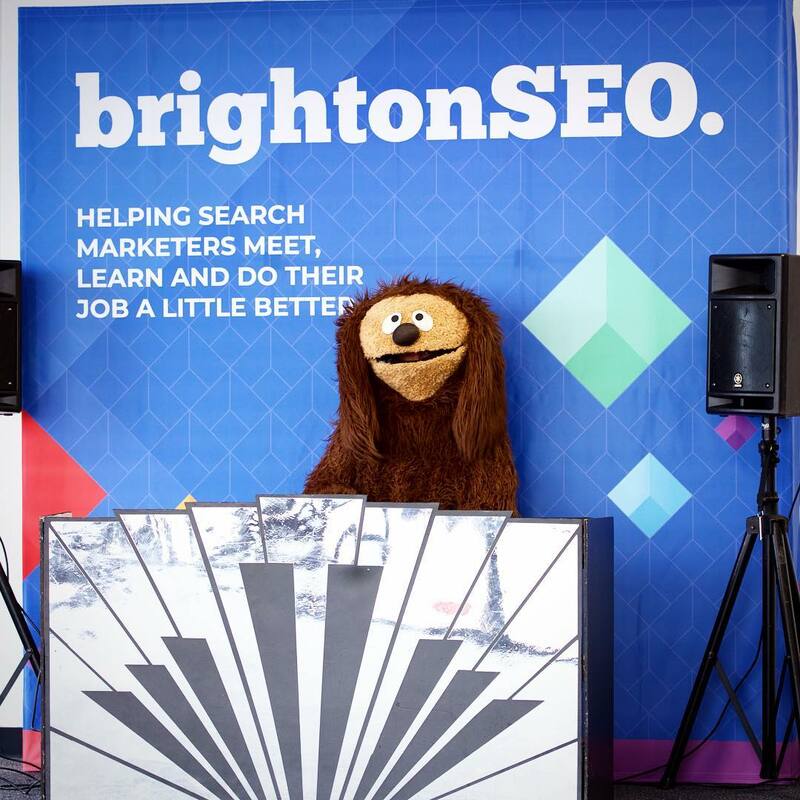 BrightonSEO has become an institution in the UK, starting off in a small room in a pub with just a few attendees it has now grown to become one of the UK’s largest SEO conferences hosting over 4,000 guests last year. 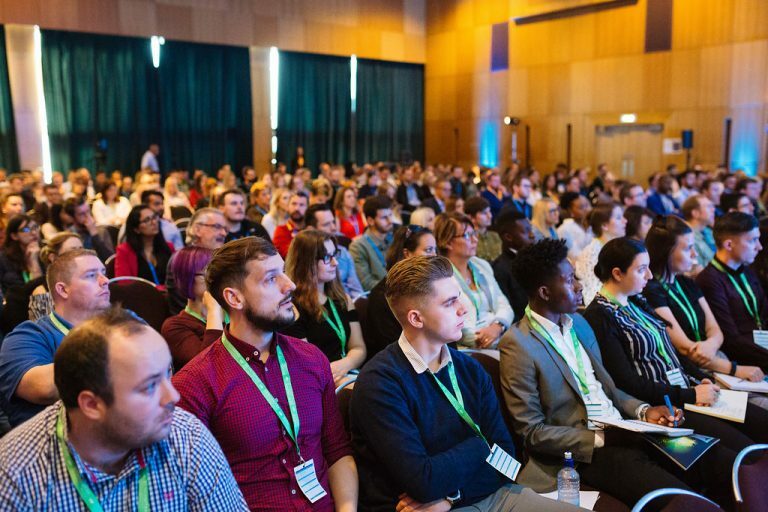 Set in the beautiful seaside town of Brighton, over 2 days, some of the best and brightest in the SEO industry host talks and small group sessions sharing detailed and practical SEO insights. 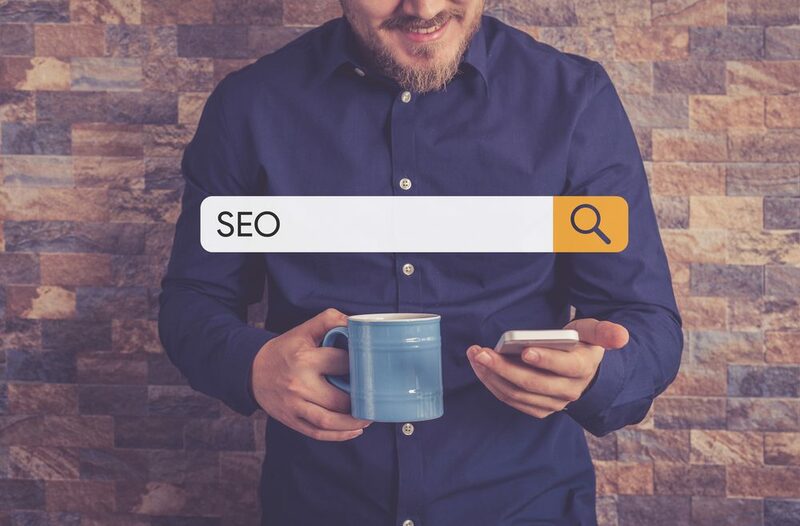 Anyone who knows anything about SEO has probably gathered some of their knowledge from the Search Engine Land blog – one of the best sources of SEO industry news and technical developments you can find. SMX is their three day SEO event in London, that you can attend to improve your search marketing efforts. The talks are designed to be accessible to both newbies and veterans, meaning that every attendee will be able to take away practical and actionable tips from their sessions that cover almost every topic imaginable in search. 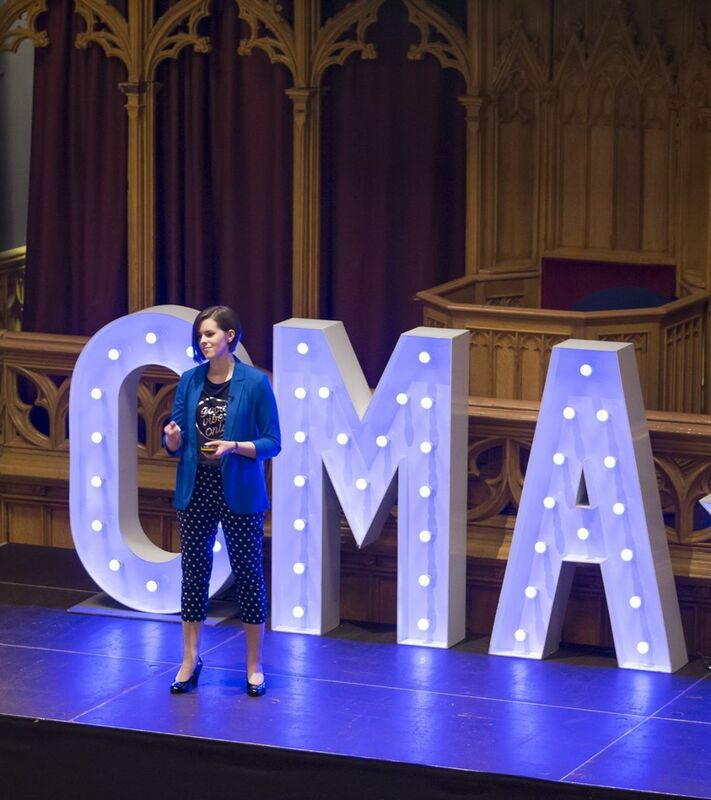 CMA Live is an Edinburgh based content marketing event that plays hosts some incredible speakers in the content marketing industry. 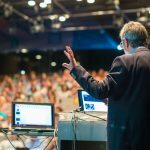 Past speakers include Ann Handley of Marketing Profs and Chris Brogan, CEO of Owner Media Group so you can expect this years line up to be just as exciting. These industry experts are constantly creating incredible content for the web and attending CMA Live gives you the opportunity to learn first hand the practical experience and technical knowledge they can share. SearchLove conference takes place over 2 days in October each year. Guest speakers give presentations on content creation, analytics, trends, mobile search and a range of other digital marketing topics. 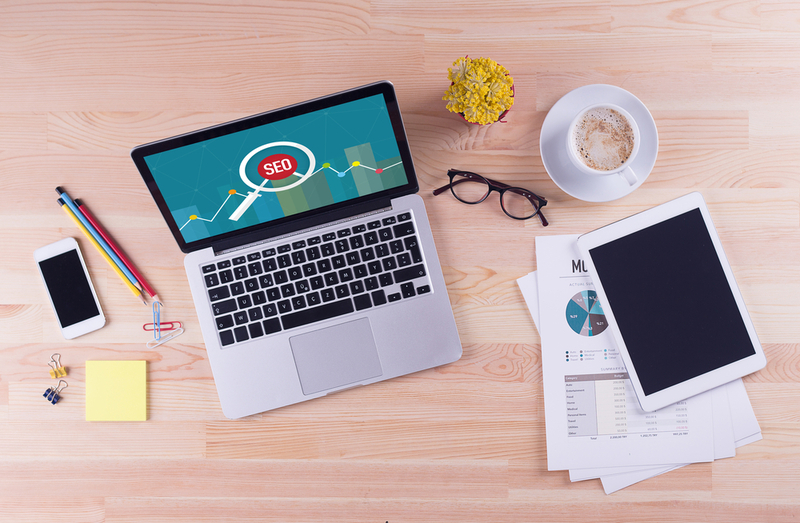 It is geared toward both in-house and agency professionals as well as business owners and marketing managers looking to improve their SEO strategies. 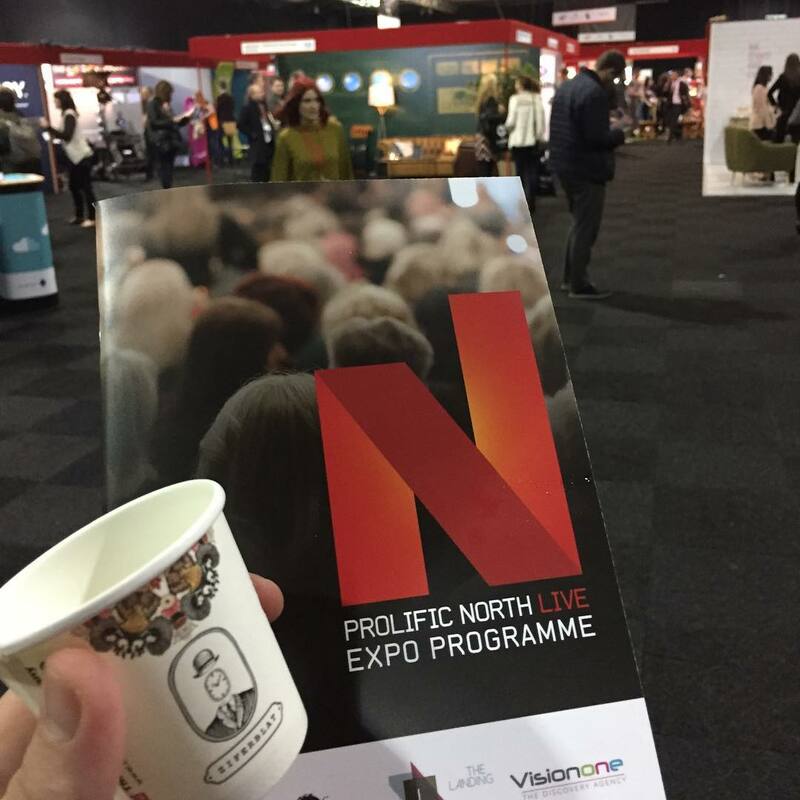 Marketing Show North is the biggest digital marketing event outside of London (formerly Prolific North Live). It covers more than just SEO and digital PR going into broader topics of media, branding and marketing and sales. 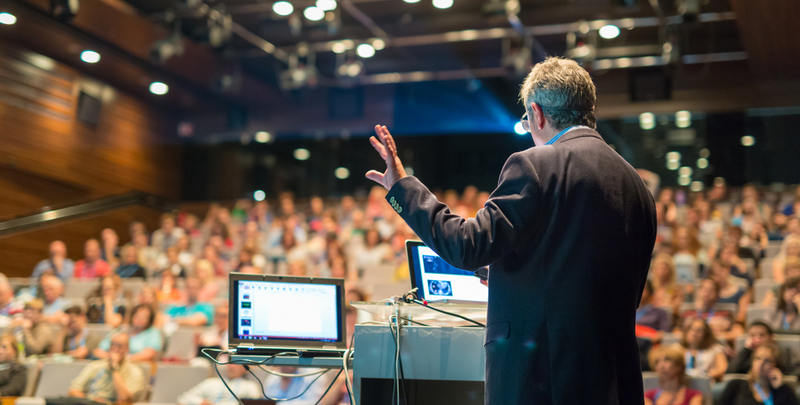 Outreach Conference is the UK’s only event that is dedicated entirely to outreach, digital and online PR. Here you’ll learn all about the techniques, tips and tricks that go into gaining links and coverage for your campaigns. Top industry professionals host sessions on mindset, creativity and outreach strategy, providing you with a ton of tips to generate coverage and improve your website’s backlink profile. Ungagged is a 2-day SEO & Digital Marketing event taking place on April 1st and 2nd, with day long intensive masterclasses happening on April 3rd. 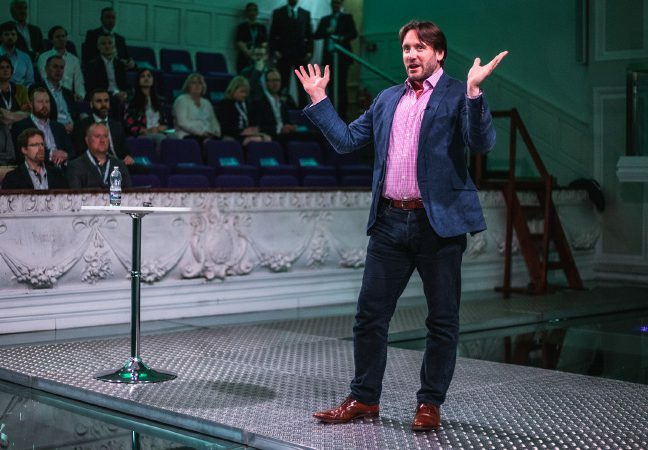 Ungagged isn’t your typical marketing conference and promises an unconventional delivery with uncensored sessions that are sure to both inform and entertain. Search Leeds is one of the few SEO events in the North of England. Its tagline is ‘No sales pitches – just actionable advice’ and that’s exactly what you get. 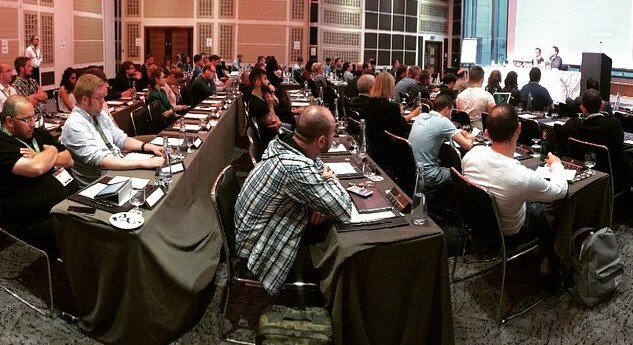 Speakers are search industry specialists who really know their stuff, running sessions to share their knowledge. You really do come away from this event feeling like you’ve really learned something. Plus, it’s completely free of charge to attend! This is the event to attend if you are running an online, digital marketing or SEO project that involves multiple countries and/or languages. 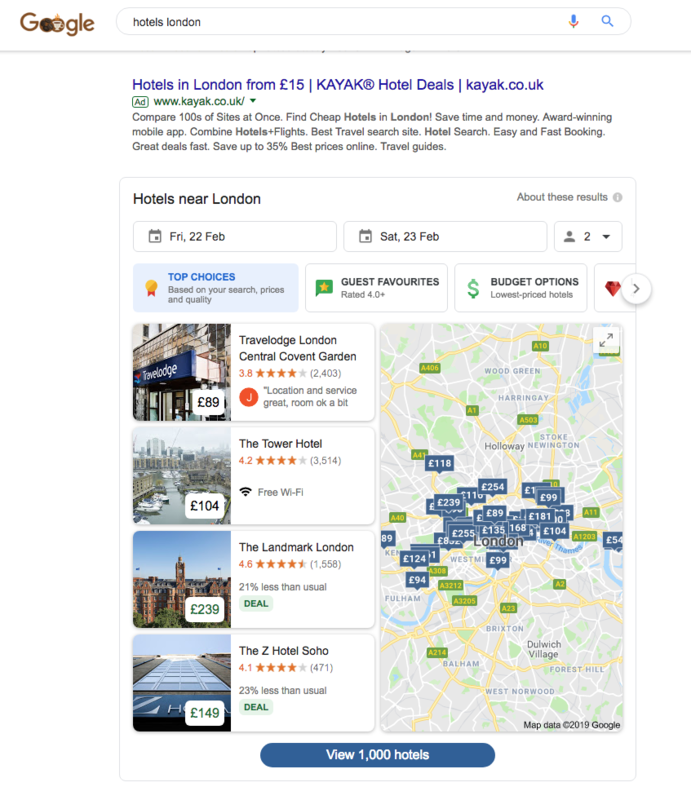 The summit complements the larger SMX London event (as it’s organised by the same team) but this part of the conference focuses primarily on the linguistic and cultural challenges which can affect the operational running of a multilingual site. Atomicon is a marketing event with a difference. 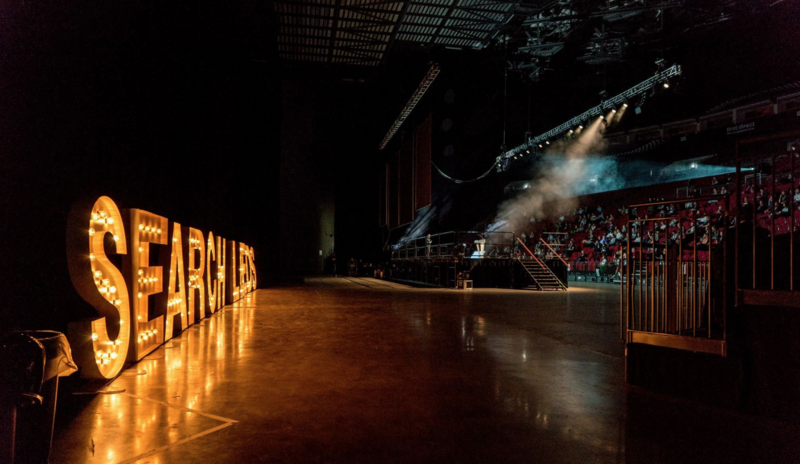 They brand themselves as the most fun digital marketing event in the UK and put a core focus around providing practical insights on a range of topics as well as advising how you can implement them to ensure what you learn is going to make an impact. This two-day expo showcases all the latest and greatest technologies and that are impacting modern marketing practices. They boast an impressive range of speakers this year including Andrew Fryer from Microsoft, Yoann Pavy from Depop and Martin Tavener from IBM. 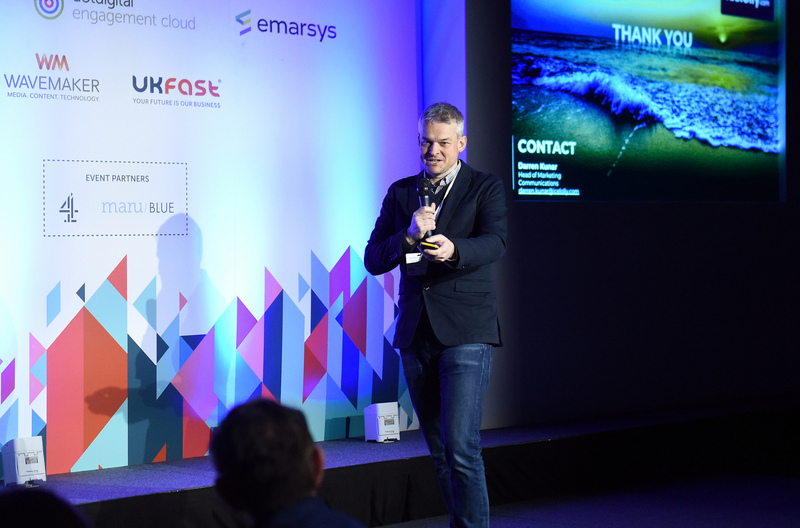 Last years event featured speakers from huge industry names such as SEMrush, Google, Canon, Barclays and BingAds. While this year’s event details have not yet been released, we can expect it to be just as inspiring. 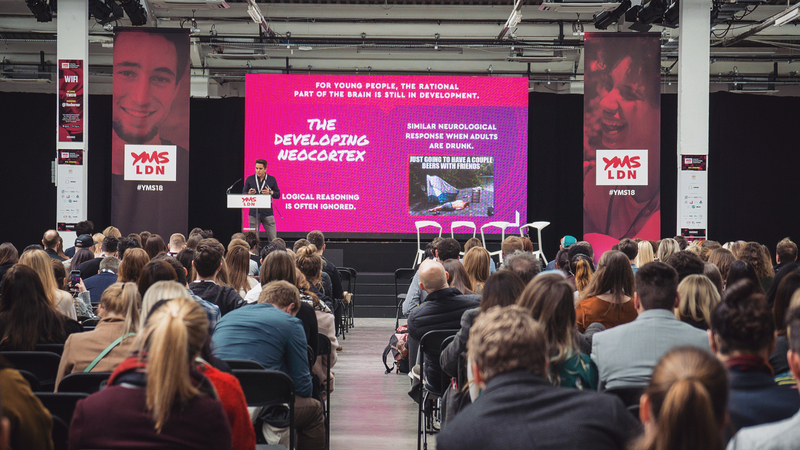 This event gives attendees a youth perspective and helps brands understand the latest trends, meaning you leave will everything you need to know about winning over the most diverse, influential and ambitious generation of young people yet. Get started building authoritative links to improve your SEO. A nofollow link refers to a link with a nofollow HTML attribute. This attribute is used to tell search engine crawlers that the link should not affect the domain or page ranking of the site the link is pointing to or pass on any ‘link juice’. Users visiting the page will still be able to use the link but search engine crawlers will not follow it and it will not pass on any SEO value. Why were nofollow links invented? 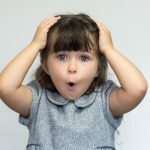 If you were around in the early days of the blogging boom you’ll likely remember that people started filling up the comment sections of blogs with ads to their own sites in order to improve their SEO. 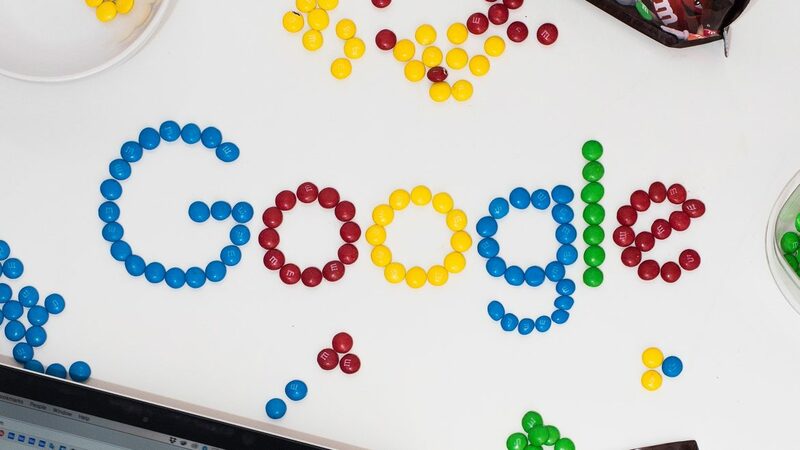 To tackle this issue, in early 2005 Google’s Matt Cutts and Blogger’s Jason Shellen addressed the problem and came up with the nofollow HTML attribute. It helped established and trustworthy sites by stopping their credibility being diluted by spammers and freeloaders attempting to take advantage of it to improve their own site’s reputation with search engines. Blog comment spam occurs less often these days and is now considered a black hat SEO technique. Search engines algorithms, like Google’s, are also now much more advanced and discount blog comment links as they aware of the tricks people use to try and cheat the system. Where are nofollow links used? Any links you post on social media, including links in your profile will all be nofollow links. This prevents you from just creating accounts on these platforms for SEO purposes and is used to prevent users from spamming these platforms with linked content that provides no value. Any website or blog that has a comment section will most likely have made sure that all the links posted will have nofollow attributes to prevent spamming, and so trustworthy sites don’t have their credibility taken advantage of. 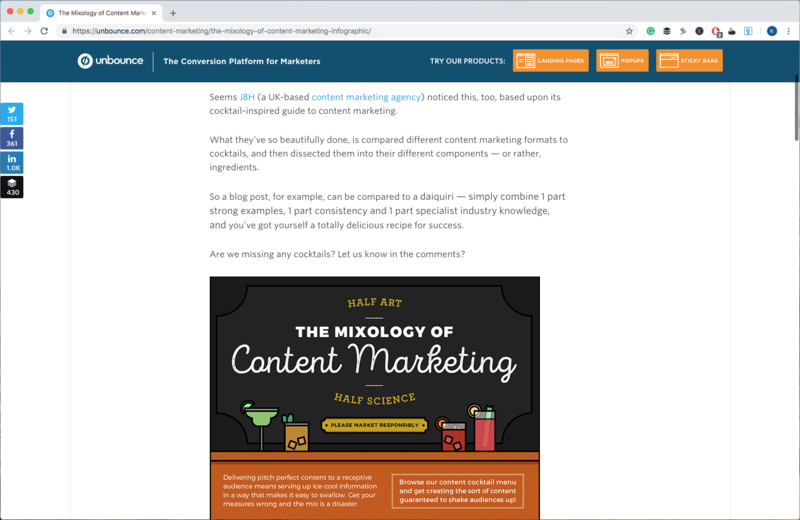 Large publishers that have huge outputs of content (like Inc, Forbes and Huff Post) are now, more and more using nofollow links for any content created by their contributors. 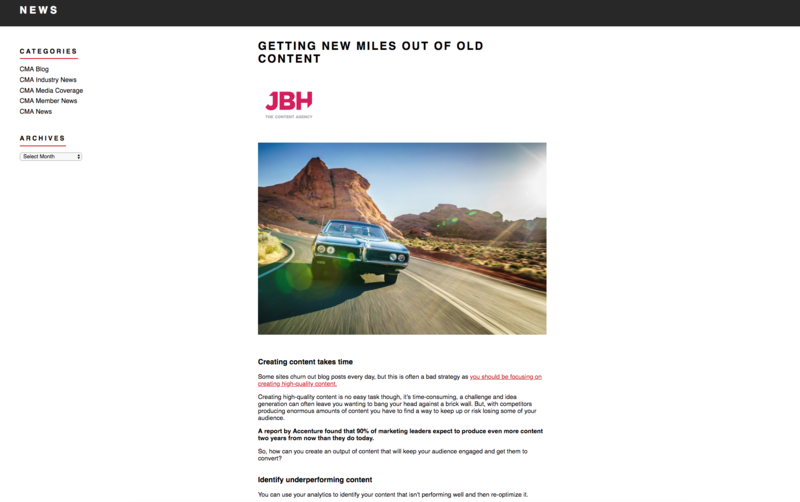 For the most part, this is due to the time that it would take an editor to check that every link in a submitted piece of content was relevant and worth passing on link juice to, and it puts more focus on creating content that is helpful for its users. Why do nofollow links have such a bad reputation? After the creation of the nofollow attribute, search engines not only told website owners to use it for their blog comments but also for any ad links as well. This way Google and other search engines would be aware of what content was sponsored and know not to pass any link juice on to that link. 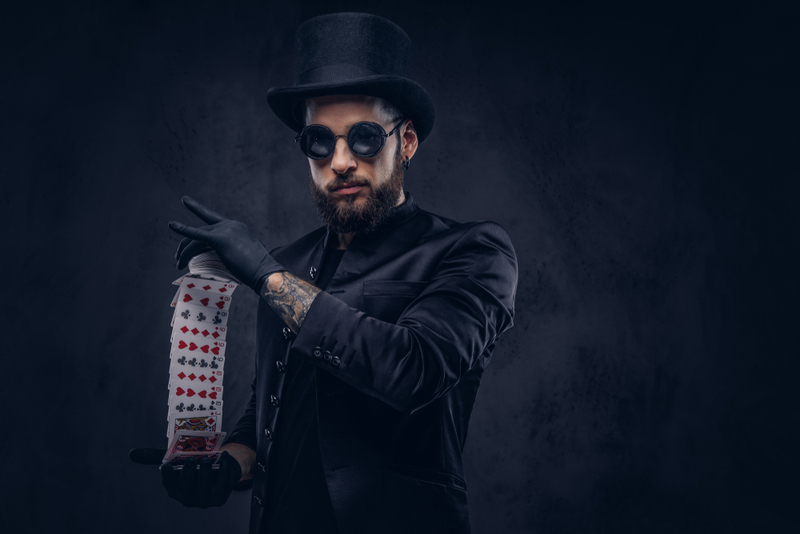 The differentiation between paid and natural links protected site owners in later years when Google updated their algorithm and started penalising sites using black hat SEO and that were full of spam content. Using nofollow links as an indication of paid content meant that many SEO’s wrote them off as completely worthless. Buying and selling links went from a huge industry to occurring much less and since then most content creators and SEO’s have avoided nofollow links like the plague. For the reasons stated above, nofollow links do not have the same value as dofollow links, but that does not mean that they are worthless. In fact, they can be hugely beneficial to your site, traffic, and reputation. 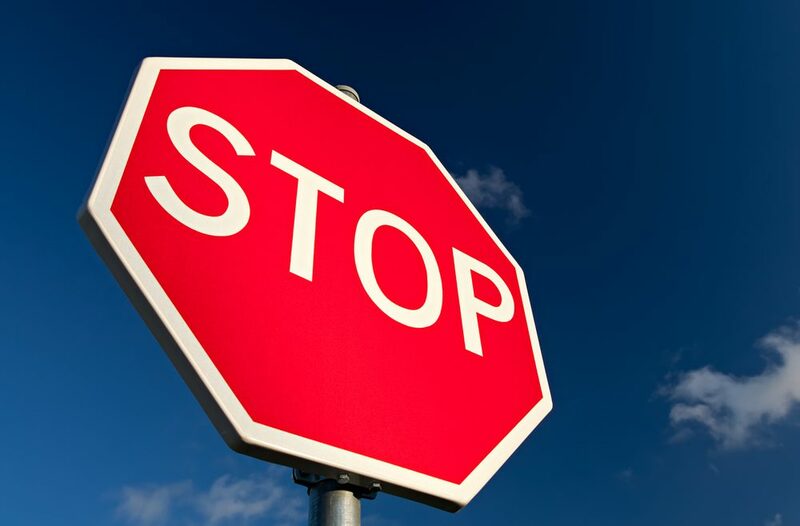 Major publishers such as Forbes, The Huff Post, The Mail Online and The Sun have all been replacing all their external links with nofollow links for some time. Does this mean that earning a link from a publication like this is not worth your time? The short answer: No. 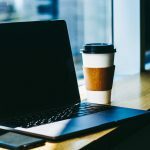 When you’re out there trying to make a name for your business, links from sites like these can have a huge impact on your brand awareness and reputation. A nofollow link might not get you the SEO benefits from this site but it does add to your credibility and get you in front of new audiences. 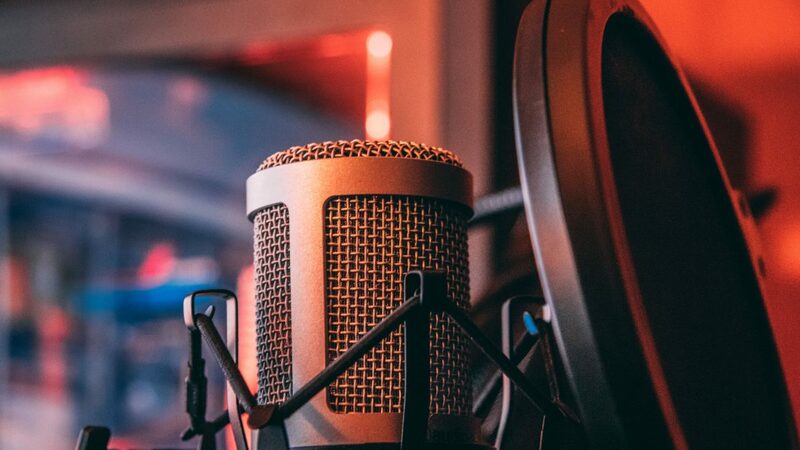 Getting your brand name in front of these new audiences is vital to growing a business, especially if you are just starting out or have a niche product. Sites like Forbes are also considered highly trustworthy, they have a lot of credibility with their audience and a little bit of that gets passed on when your name is mentioned on their site. 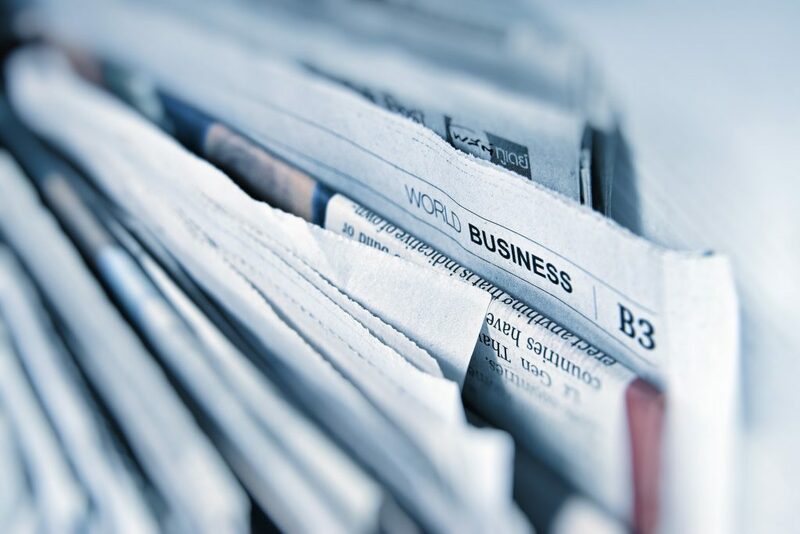 Audiences generally trust major publications and news sites because they are established and will generally only report on something of merit, that’s worth talking about. If a potential customer sees your name in a major publication this adds to your social proof and they are much more likely to convert at a later stage of the buyer journey. Google says that it doesn’t transfer PageRank or SEO value across links that have a nofollow attribute. The key phrase to focus on in this quote is ‘in general,’ which indicated that Google may make exceptions from time to time. Most likely, Google knows that high quality sites such as Wikipedia can’t afford to link to low quality sources or they would lose their audience, so even if these links are nofollow (which all of wikis are) it may still take it into account and adjust that pages position in the SERPs accordingly. 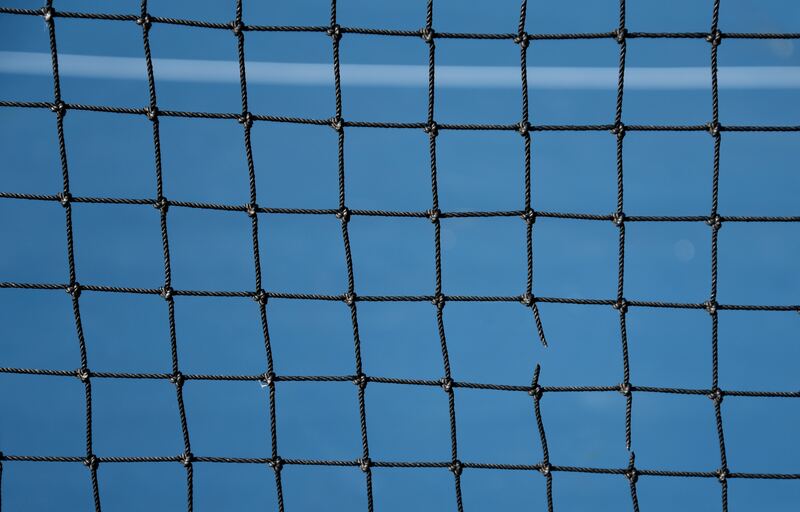 If your link portfolio is made up of all the same kind of links from just a few domains – even if they are from high DA sites – they will lose impact. 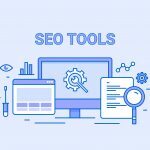 Links to your site that consistently come from the same domains signals to search engines that the link juice that is being passed on to you is no more than link doping and that these links are being gained for the purpose of generating sales and not to provide high quality content to users. A non-diverse link portfolio, even if it is built up of links from high DA sites, will end up having the opposite effect on your SEO than you would have hoped for, as Google will penalise your website rankings. Diversification is essential in link building and even if a nofollow link is not passing along link juice it is still building your link portfolio and not insisting on dofollow links means you can get a more diverse range. The Mail Online, The Sun and a number of other big publications often get requests from other sites to use their content. A nofollow link on a site like this can easily snowball into a number of dofollow links from smaller sites. Small publications often look to bigger publications for content, so your content will be viewed by a number of other journalists. 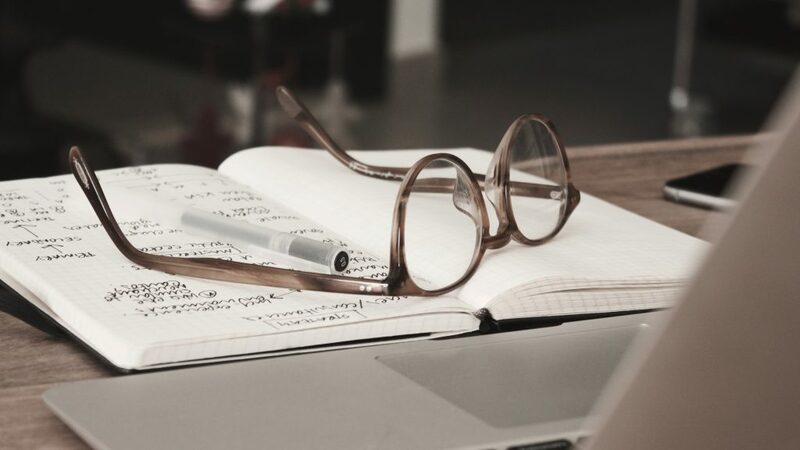 If you are creating valuable content that would resonate with their audience, journalists will then ask permission to use this content on their own site. You can ask for dofollow links from any journalists that make these requests and you may end up with a bunch of new dofollow links from a diverse range of sites off of one piece of content you were tempted not to give to a site because they didn’t want to give you a dofollow link. Social media is another great snowball source; any content that gets a lot of shares or goes viral will end up in front of a few journalists. 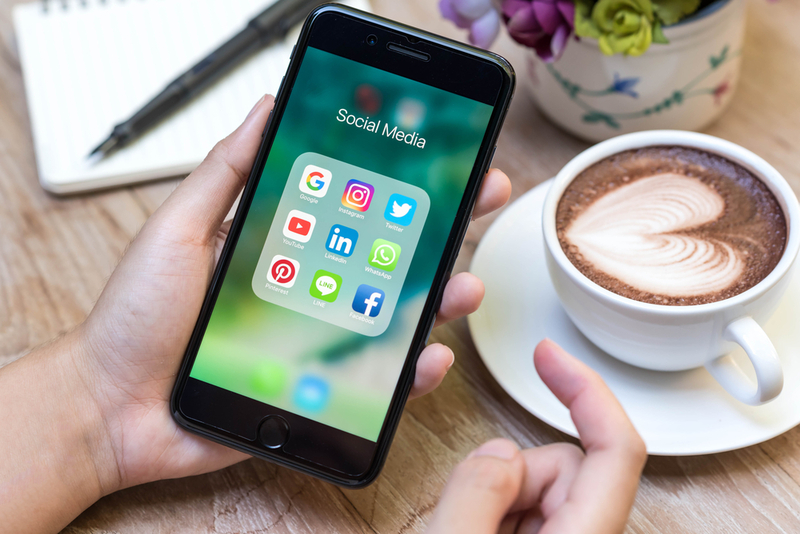 As the digital landscape changes, journalists are using social media more and more as a source for content so even though a successful social media post won’t get you ranking no.1 for your main keyword it might help you generate some dofollow links that will get you on your way to that goal. Nofollow links will generate the same amount of referral traffic to your site as they would have if they were dofollow. 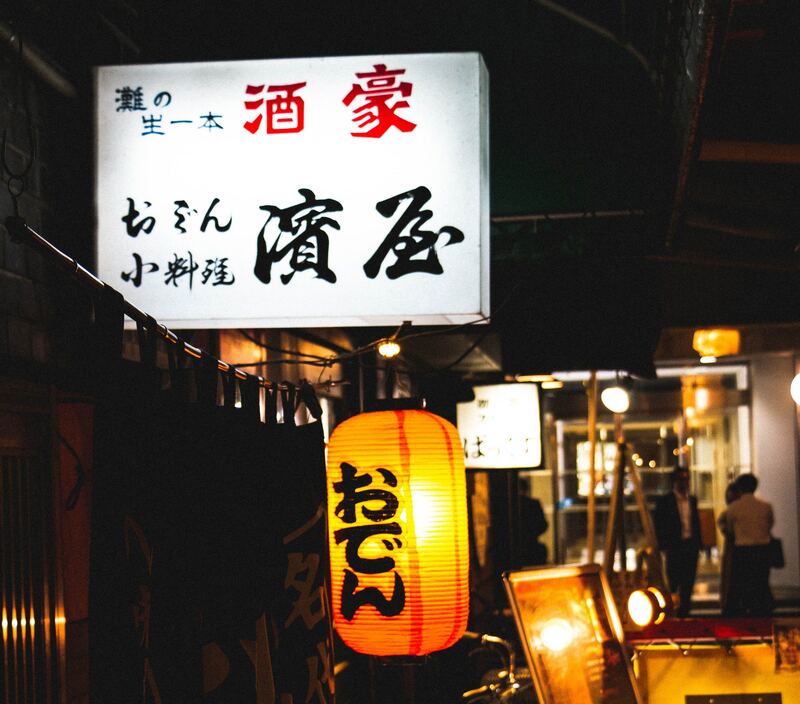 The nofollow attribute does nothing to stop users clicking through to your site, making referral traffic one of the biggest benefits of nofollow links. If you get a nofollow link from a site like HuffPost, that almost exclusively uses nofollow links, that still has a lot of value in the traffic that it will generate for your site. Huge publications like this have massive audiences and you will be getting in front of them giving you a much higher chance of driving traffic to your site. 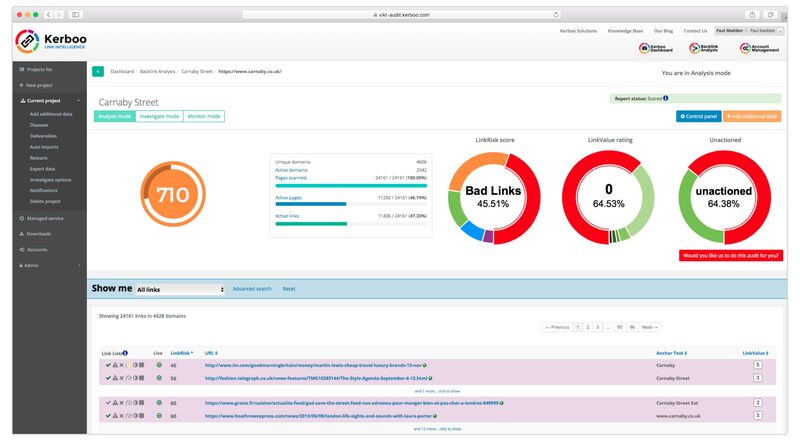 For example, in WordStreams link bait case study, they created a piece of content with the intention to generate links and traffic. The article they created used buzzworthy topics like social media and a news topic of an upcoming senate race that generated a lot of buzz and was linked to on sites like The New York Times and Politico, both of which were nofollow links. The New York Times is one of the most trusted and most visited new sites in the U.S and as a result of getting a nofollow link on their site they saw the referral traffic quadruple, with thousands of pageviews in hours. 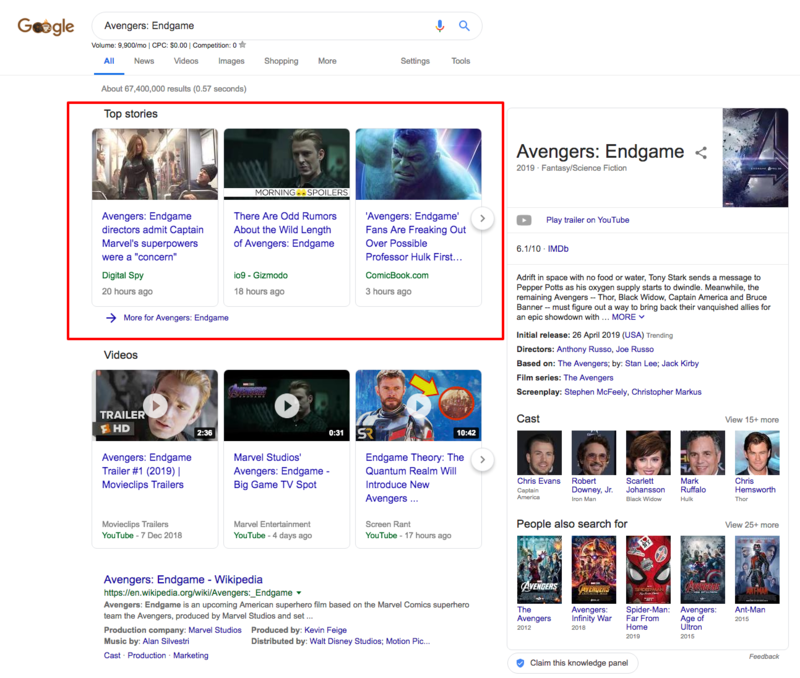 A clear example of just how valuable these kinds of links can be in getting in front of new audiences and driving people to your website. Nofollow links are certainly far from worthless. There are loads of benefits to acquiring them especially if they come from top-tier sites that will then generate further links and traffic for you from your content. Any link building plan should include nofollow links, they diversify your link portfolio can get you in front of some highly relevant audiences and drive traffic that could convert to customers to your site. Need help with your next link building campaign. Get in touch with one of our Digital PR experts. Having fast page load times is crucial for SEO success. It’s a strong ranking factor and indicates to search engines that you have a healthy, well maintained, high-quality site. Not only is it important to search engines, but your users will also thank you for having a fast site. When was the last time you waited around for longer than a couple of seconds for a page to load on your browser? Probably years, with lightning fast internet and a growing culture of impatience, we all expect sites to load instantaneously. 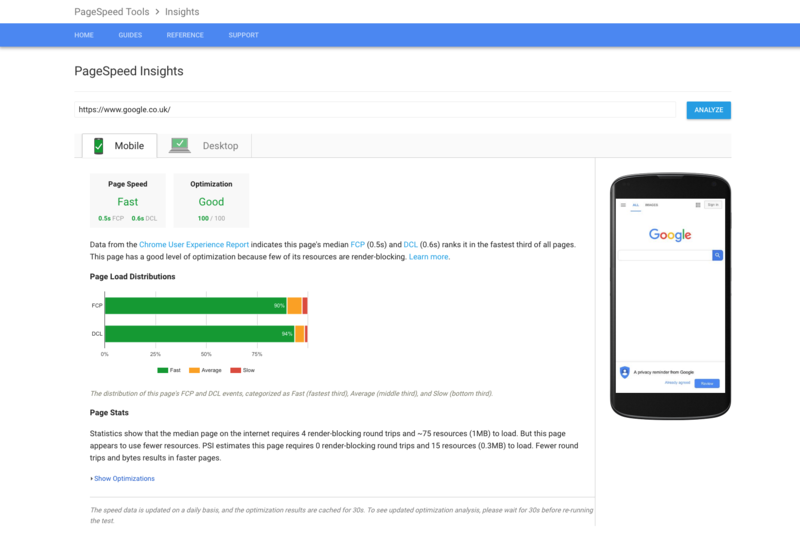 What does Google say about page load speed? 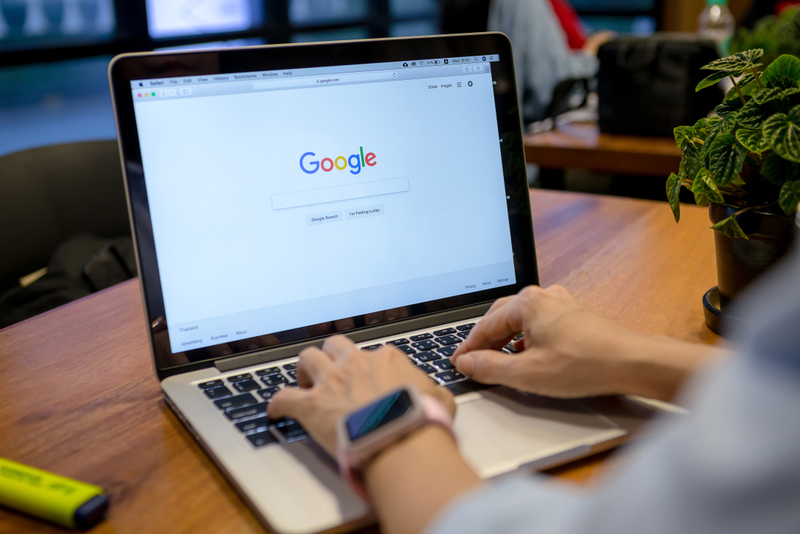 Google is by no means the only search engine out there but it does have 82% of the market share in the UK and is the main focus for most sites when they want to improve their SEO due to the huge amount of traffic it generate. So, what does it have to say about speedy websites? This might have been published way back in 2010 but its still relevant today. In 2018, optimising your website speed is not just an option, it’s a necessity, as in July Google released its Page Speed Update. Although speed has been used in ranking for since 2010, when first considered a factor, it was focused on desktop searches. With the Page Speed Update, it is now also a ranking factor for mobile searches. It’s not just Google’s crawlers that are negatively affected by slow pages, users are too which in turn is affecting your bottom line. According to the NN Group, 47 per cent of visitors expect a website to load in less than 2 seconds, and 40 per cent of visitors will leave the website if the loading process takes more than 3 seconds. There are some simple steps you can take to optimise your page speed that in the long run will be well worth the time you invest in them through improved SEO and customer retention. 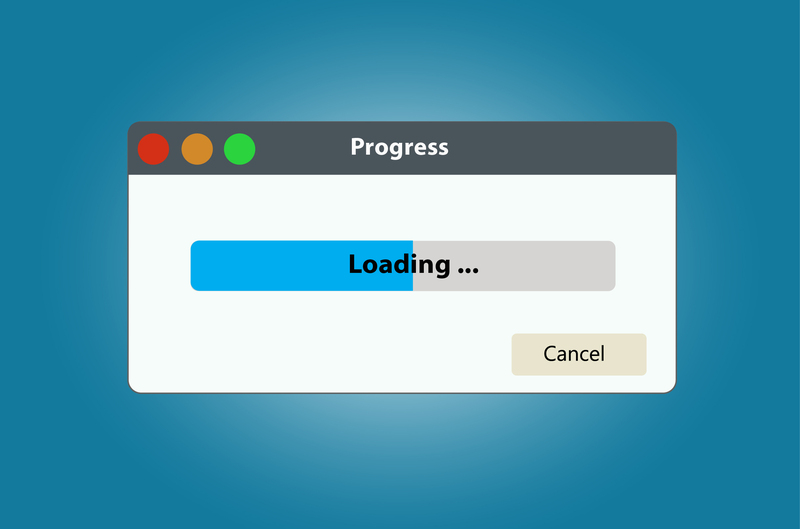 But the first step to making improvements is knowing where you are starting from, and in order to do that you need to check the page load times on your website. 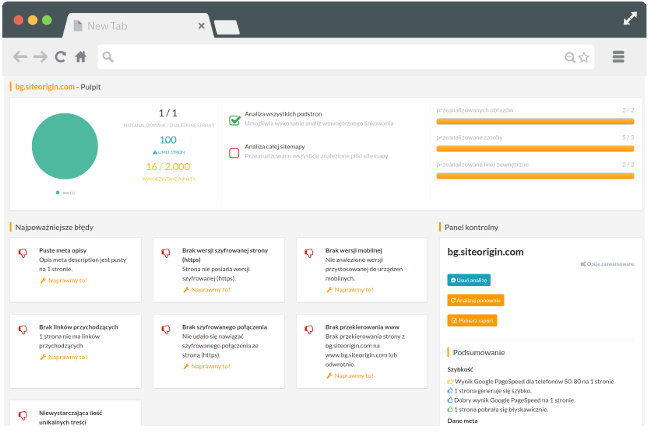 There are a few free tools you can use to assess the load times on your website. 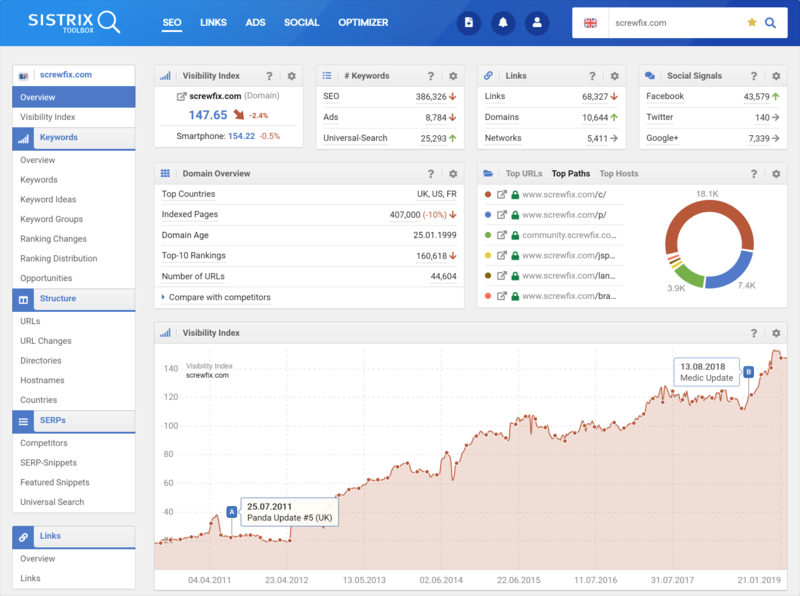 By analysing your current speed and determining where your site is falling behind you can improve your SEO and maximise the high-quality organic traffic to your site. 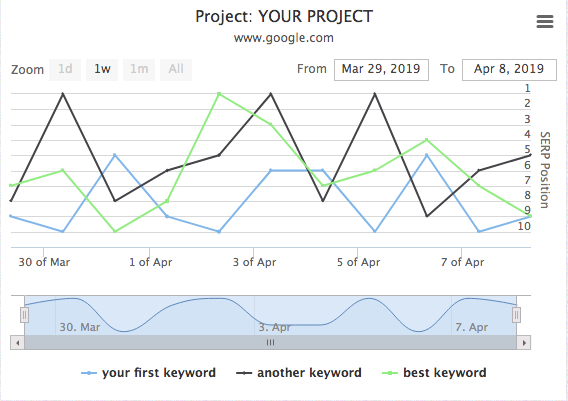 This is Google’s tool so will give you accurate readings of how Google’s crawlers will measure your site. 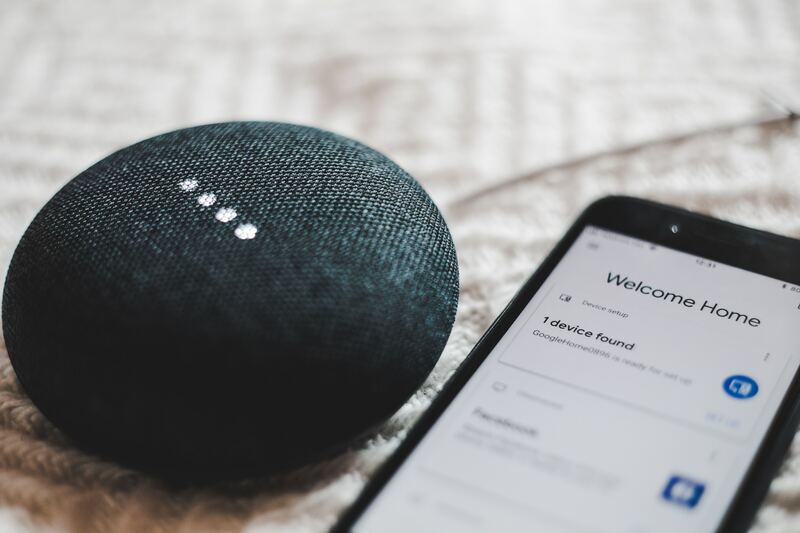 It rates your website from 0 to 100 for both desktop and mobile and gives you a list of improvements you can make to your website in order of importance. 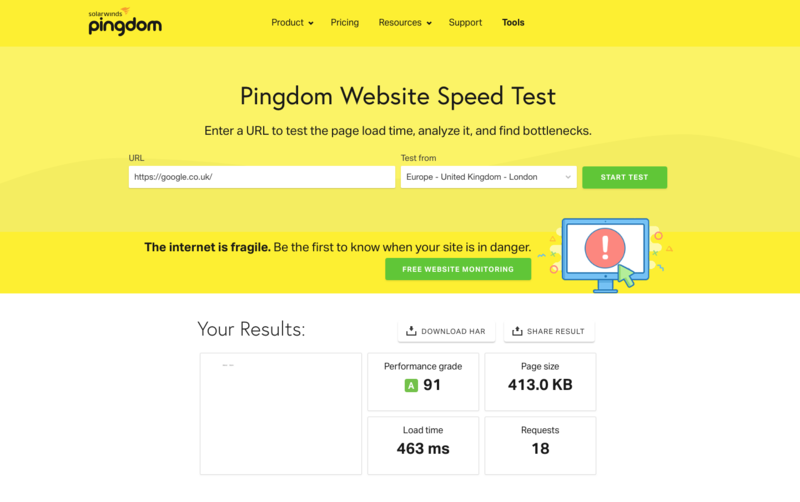 Pingdom gives you a slightly more in-depth report of your site speed and has the advantage of allowing you to test from multiple locations. 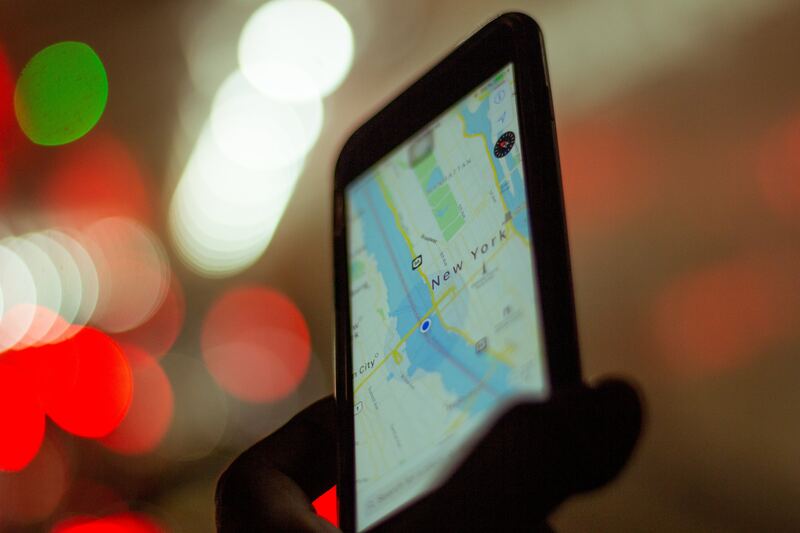 For example, if most of your traffic is coming from the UK you can test from a London, UK server but if you are an international business you can also test from locations such as Washington D.C, Frankfurt, Tokyo and Sydney. How can you optimise your page load speed? Images are probably the asset biggest in size on your website. 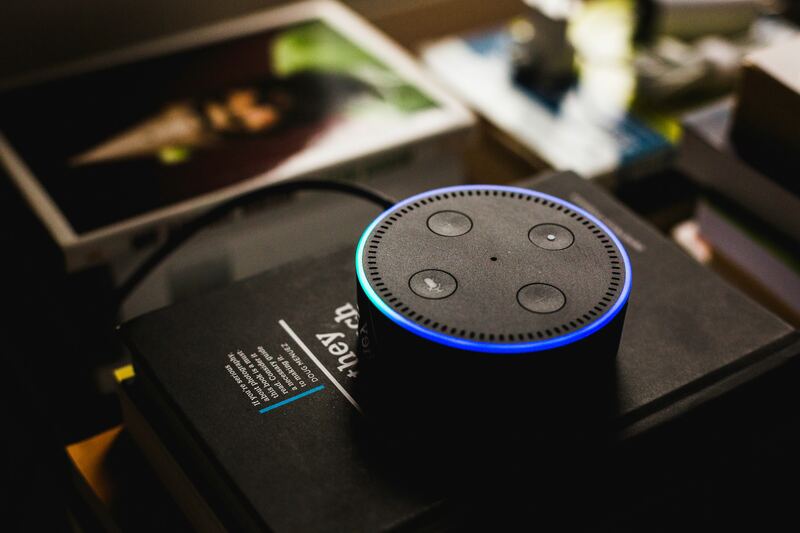 They are an important design element and totally necessary in getting your users attention and converting customers but they all need to be downloaded from your server to your visitor’s device before they can be displayed. By scaling your images appropriately and reducing their file size before uploading them to your site you can dramatically reduce page load times. There are a tonne of great free and paid plugins out there that you may think are adding something useful to your site, while some are, some are not worth the resources they take up. 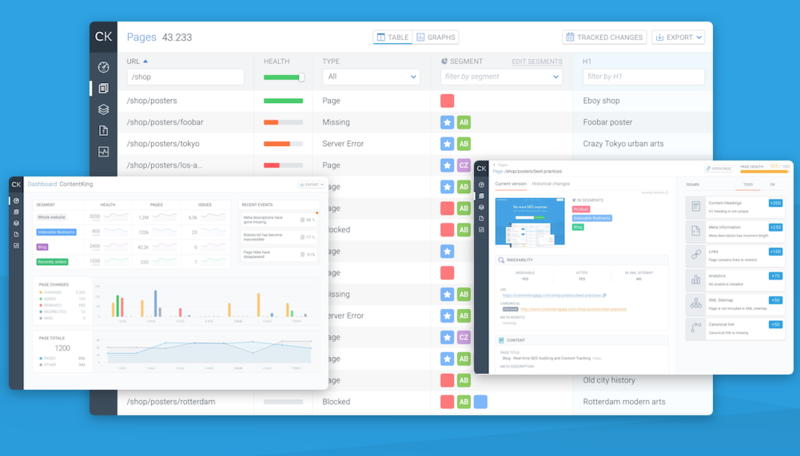 Every plugin you add delays your sites response and page load time so by removing any unnecessary plugins you can quickly shave off some milliseconds on your load speed. Redirects are definitely necessary and help stop 404 errors which can negatively impact SEO and user experience. 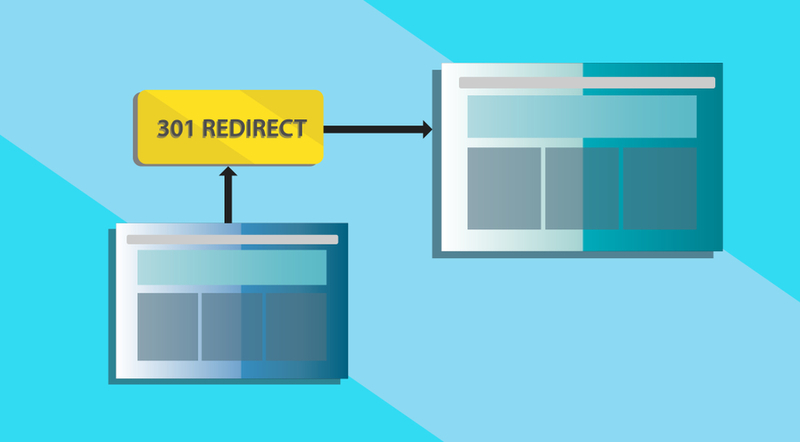 Use 301 for permanent redirects such as a URL change or removed content and 302 for temporary redirects such as site maintenance or temporary promotions. You know when you’ve got a bunch of files you want to send in an email but they’re too big to send so you zip them? Well, compression is like that but for your website. It can significantly reduce the size of your page and therefore the time it takes to load by giving your visitors less data to download. Compression is a server setting so you may have to contact your hosting company to have it enabled on your site. 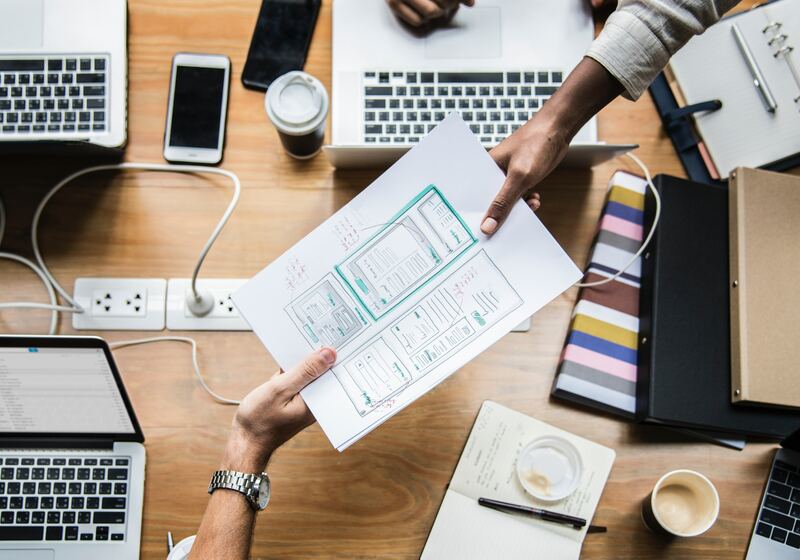 As users have higher expectations and demands for richer and more engaging content the size of your site will continue to grow but with a little attention to detail and by optimising pages you can ensure that this does not negatively impact user experience or SEO through slow page load times. 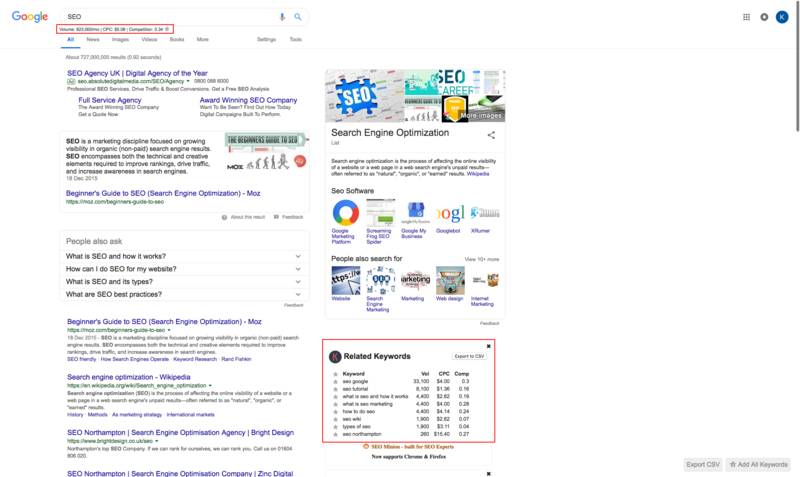 There are hundreds of ranking factors that determine where your website sits on Googles search engine results pages (SERPS). Most of them fit into three key areas, that if you improve you should see your site ranking higher for relevant search terms. Possibly the most important part of SEO is Google (or any search engines) crawlers being able to find your website. 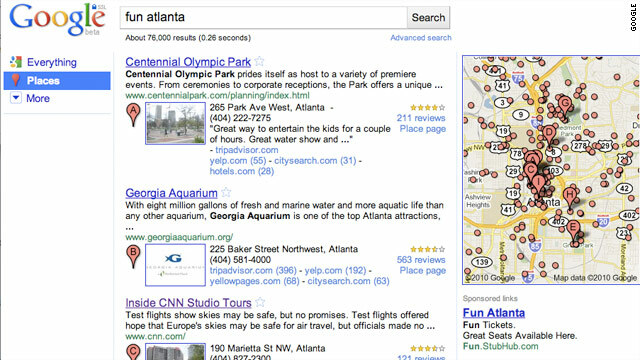 Without being able to find your site there is no way for Google to be able to show it in their search results. Not only does Google need to be able to find your site but it also needs to be able to crawl the content on it. 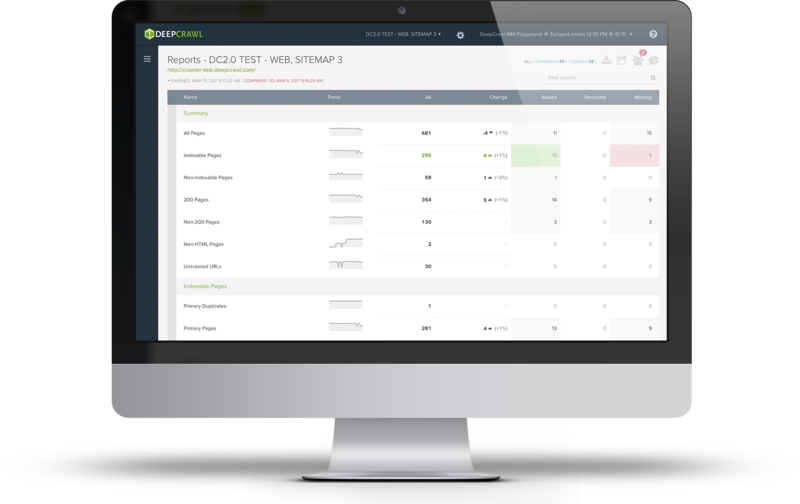 By scanning your site it can identify keywords and the topic of your site so it can be displayed in appropriate SEPRs. You might look at your site and think because you can see everything on your site without a problem Google can too. 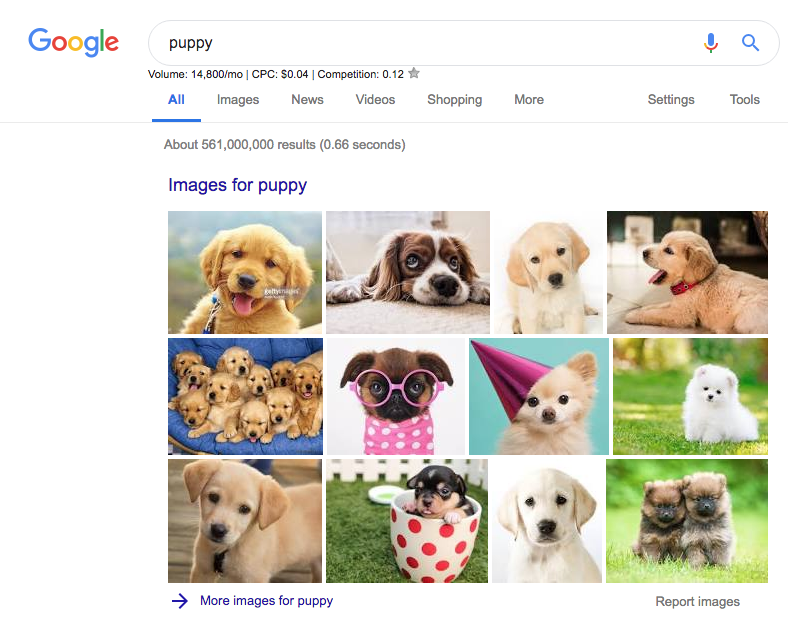 However, Googles crawlers can only crawl text – this means any nice images, audio, or other media you have Google can’t see. 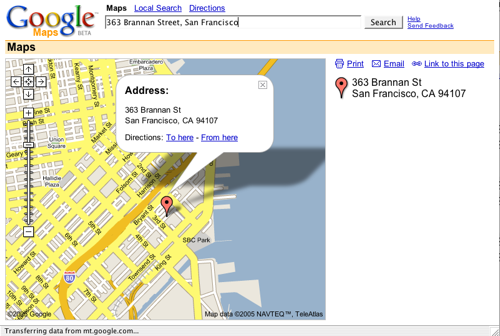 This is where technical/onsite SEO comes in; it helps Google index your content. 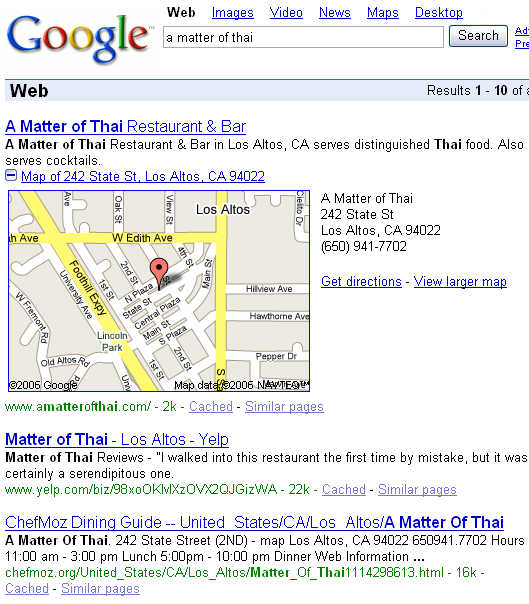 Google crawls sites the same way you would – through the navigation and links. 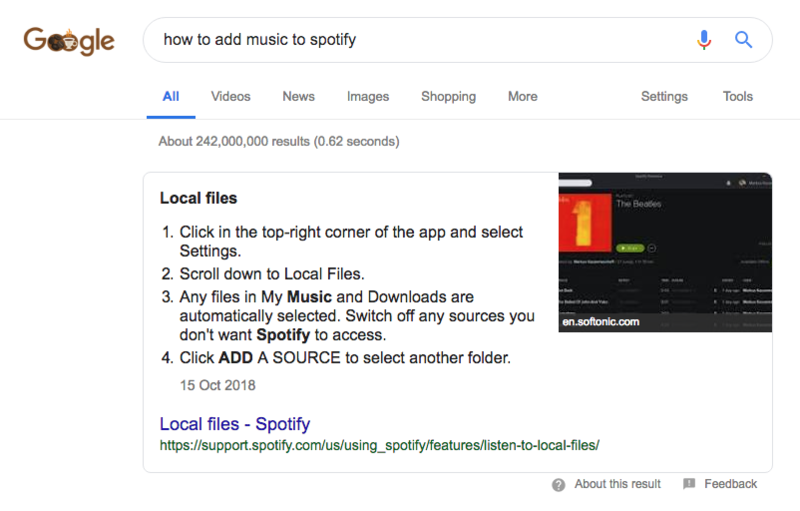 Ensuring all vital pages are linked (as text-only) means Google can find all of your important content and index it. 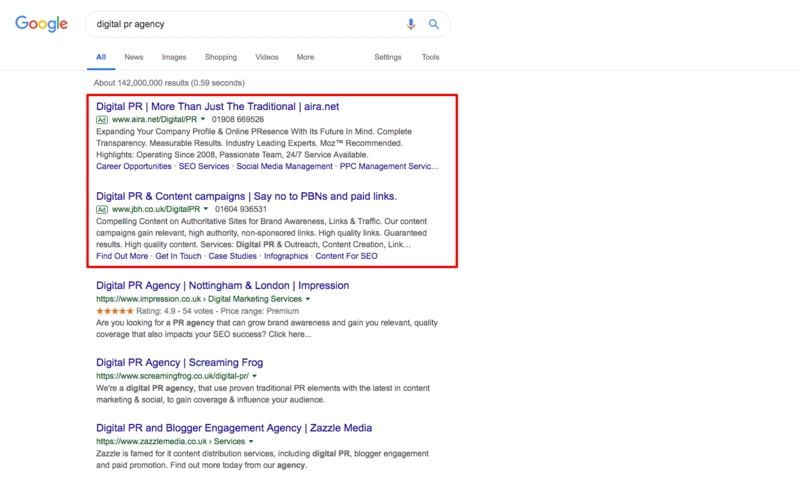 Having internal links within your pages means that Google will also be able to find your less important content that isn’t directly linked in the navigation such as blog posts. 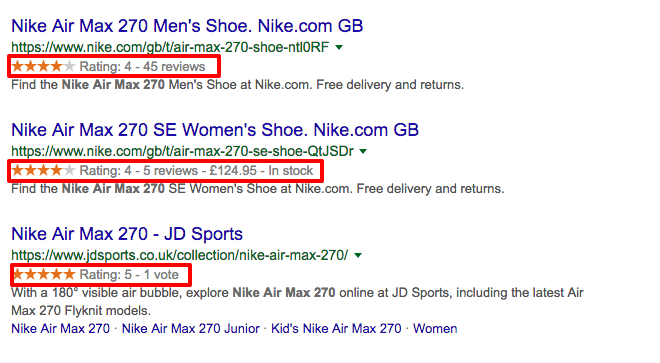 Broken links can be bad for SEO but also for user experience. 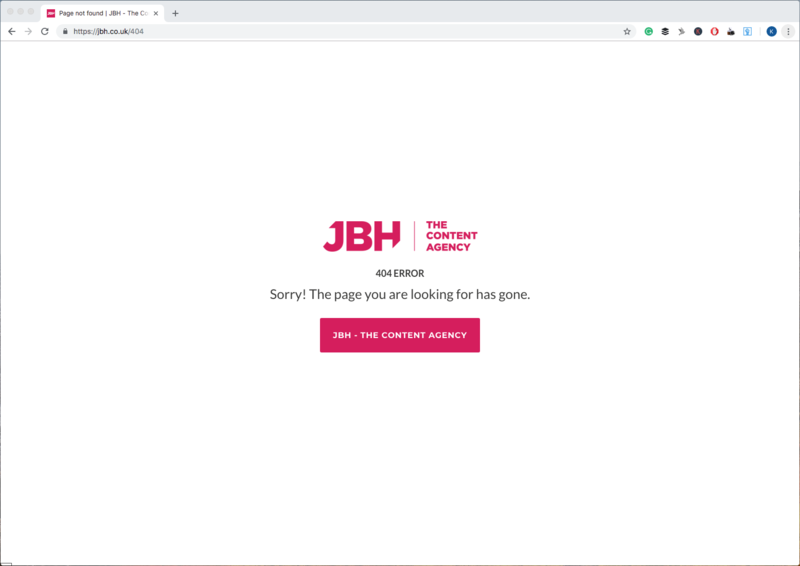 If you click on a link and get the 404 – ‘Page not found’ error then you need to redirect to either the new version of the page or an alternative page if that page is no longer available. This stops you losing valuable traffic and means once the crawler has clicked on that link it hasn’t reached a dead end and can keep crawling your site. Both search engines and your users don’t like lengthy URLs or a URL that ends with a random string of characters or with a complicated structure. They are confusing and spammy; instead you should focus on creating sort, clear URL’s that have the focus keyword of the page included in them. 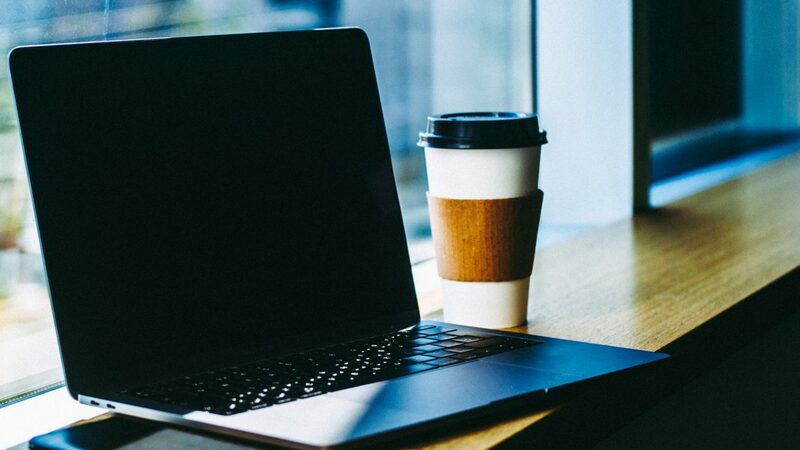 Page speed can have a huge impact on user experience; a survey conducted by Akamai and Gomez.com showed that nearly half of web users expect a page to load in 2 seconds or less, and they tend to abandon a site that isn’t loaded in this time. 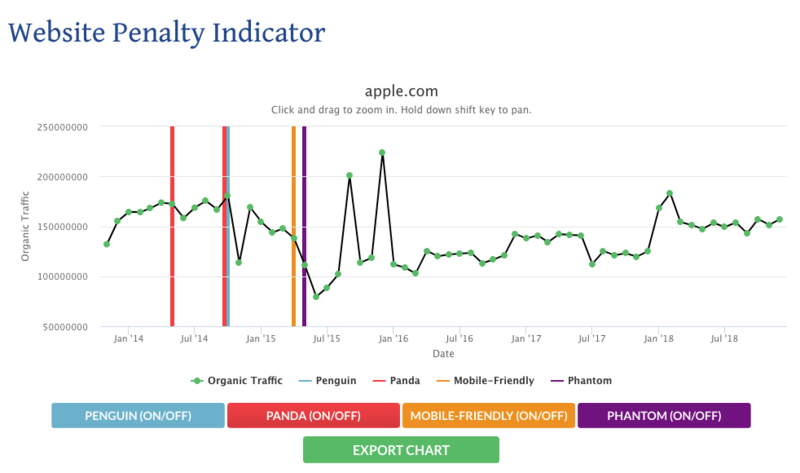 Not only is a slow site bad for your users but it is ranking factor for Google on desktop, and since July 2018 the Google Speed Update means its a ranking factor for mobile as well. 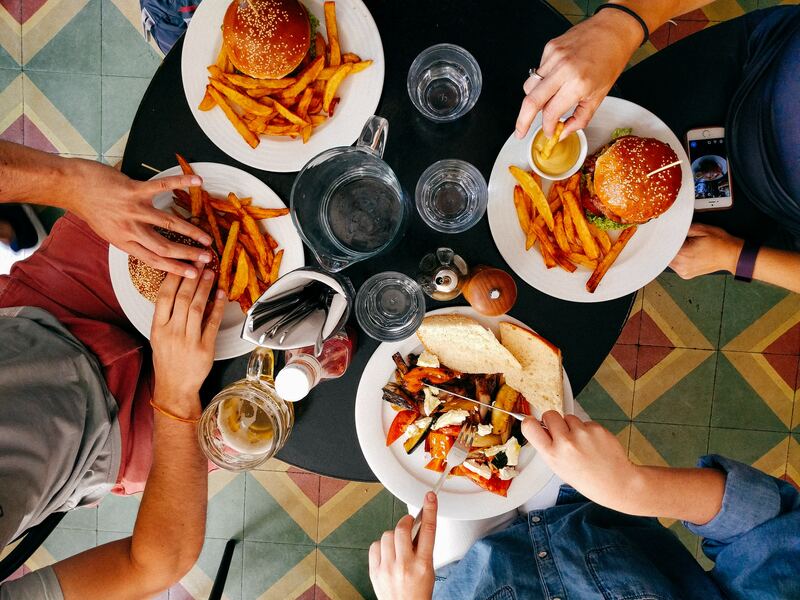 Content is King – you’re probably sick of hearing it, but it’s true. 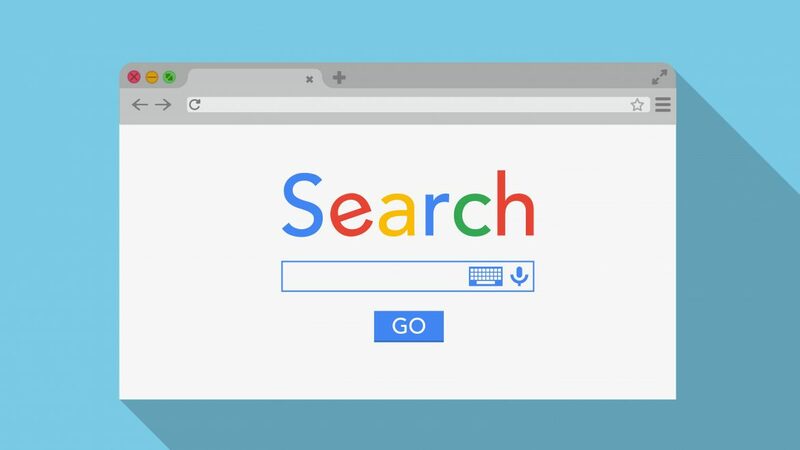 Whenever you enter a search term into Google you are searching for content, this might come in different formats – infographics, videos, podcasts, blog posts – but its all content. For SEO, content is what gets you visibility in results pages. This is because your content is providing answers to users search queries. 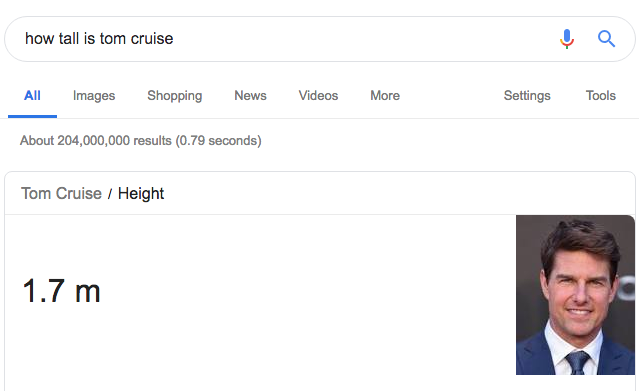 Regardless of what is being searched for the results are going to bring up some form of content. 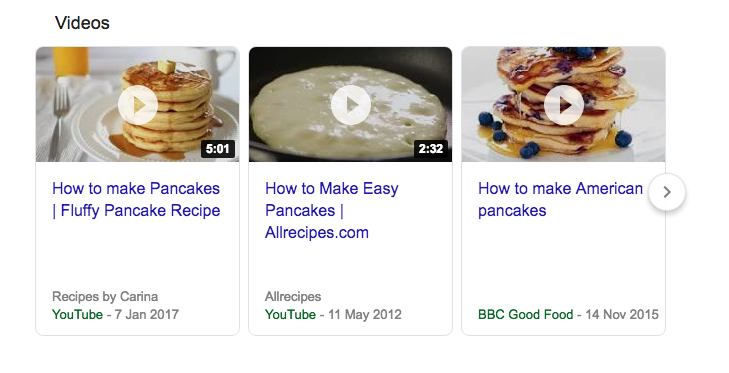 It might be different forms of content but it’s all content; having content published is the only way to appear in search results. While crawling the page Google determines the topic of the page so that it can display it in relevant search queries. 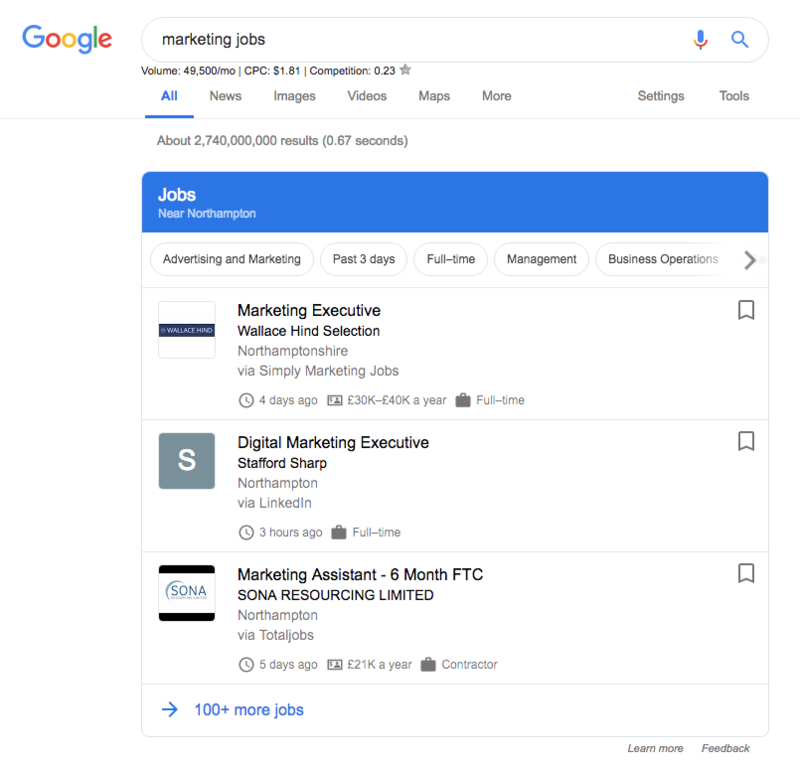 It will also determine the quality of the page through things like page length and structure, with higher quality pages displayed higher in the search results. Keyword research is a way you can optimise your content for search engines. It can help you attract high quality and relevant traffic that will be more likely to turn into leads and convert into customers. 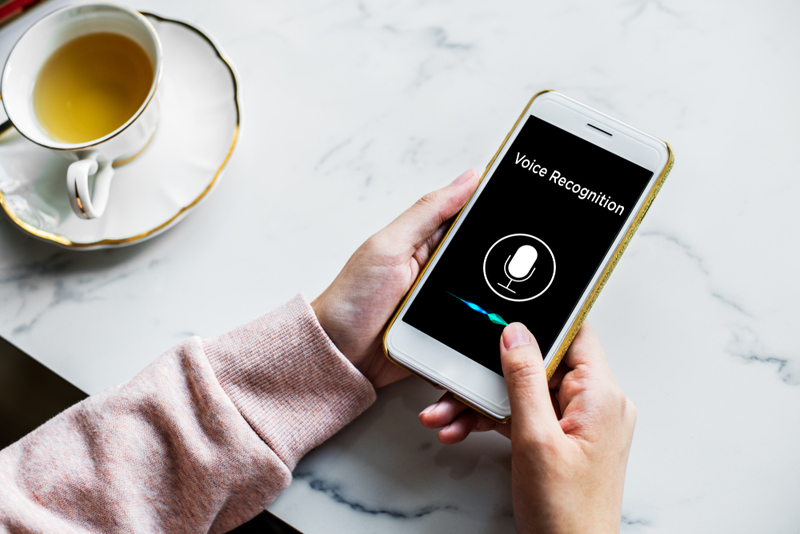 By discovering what phrases your potential customers are entering into search engines when looking for products or services like the ones you offer, you can then target those keywords and include them in your content for better search engine visibility. On page SEO helps Google crawlers understand the page it’s on and mainly focuses on the words you use and where you use them. 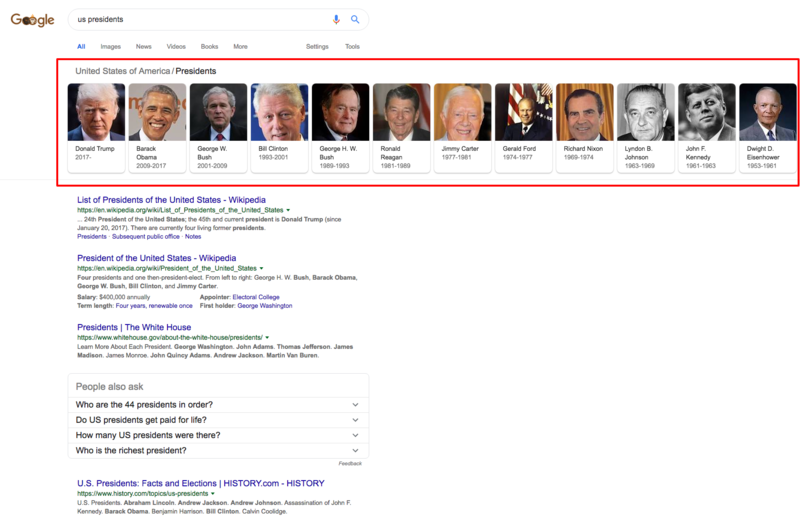 Relevance, expertise, and authority are key factors that Google’s algorithm takes into consideration when ranking pages. Backlinks can help you establish all three of these. A backlink is content on another site that links to a page on your site. For example, the article above on unbounce features an infographic that our agency created so it links back to our site. 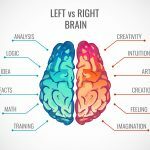 This link comes from a site relevant to ours (covering the same topic; content marketing) which provides more authority than coming from a random and irrelevant domain. The more high quality links your site has the more of an authority on your topic you appear to Gooogle which is why when building links for SEO it’s not about quantity but quality. Profile links: many websites offer the ability to add a link when setting up a profile. 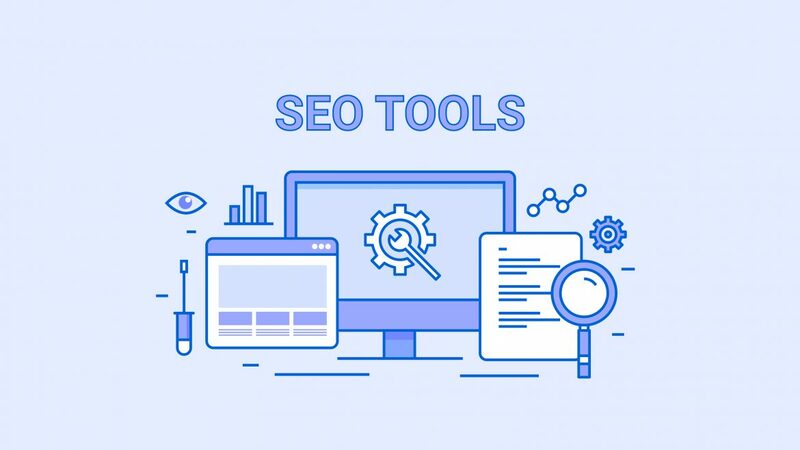 These elements are responsible for your sites SEO success, by making effort to improve each one of them then you’ll start to see better rankings in the SERPS and in turn more high-quality traffic that will convert into customers. Want to learn more about SEO and where it’s heading in future? 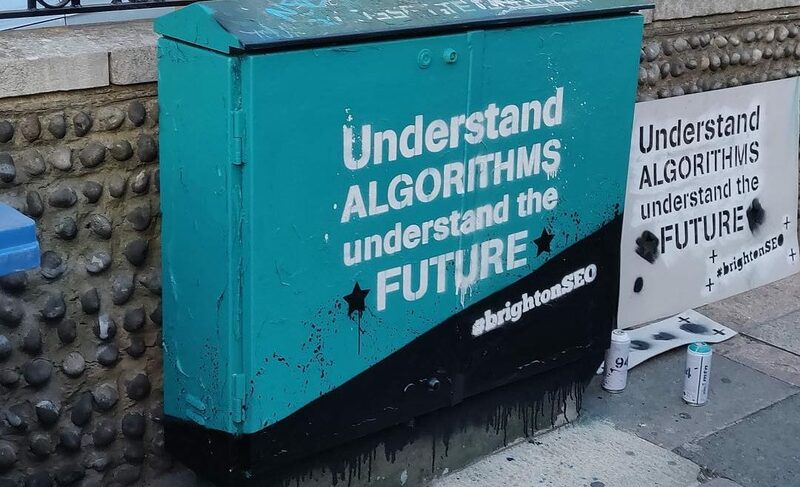 Check out our key takeaways from this years BrightonSEO conference.